We love road trips – there is nothing better than seeing a country through self-paced travel…one mile at a time. And no drive in the world is more epic than The Wild Atlantic Way in Ireland. During our last trip to Ireland and Northern Ireland, we drove The Wild Atlantic Way Donegal and Sligo sections. It is absolutely stunning! The Wild Atlantic Way initiative was launched in March 2014 to highlight the unique geography and culture of western Ireland. 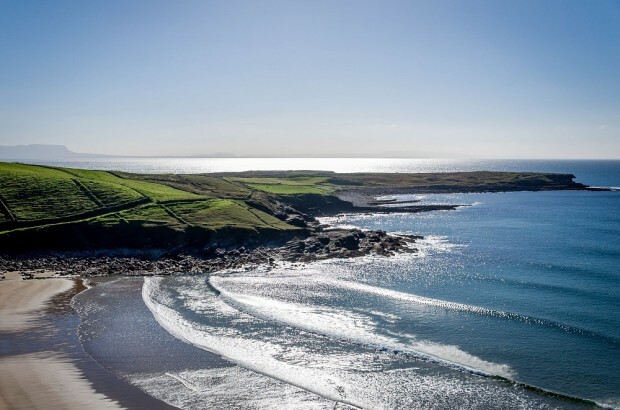 It is quite possibly the world’s most epic road trip – spanning over 1,700 miles (2,750 kilometers) from Derry in the north, down through Donegal, Sligo, Mayo, Galway, Claire, Limerick, Kerry and Cork. The Wild Atlantic Way is the longest coastal touring route in the world! Our journey started in Derry and headed west on the coastal route. 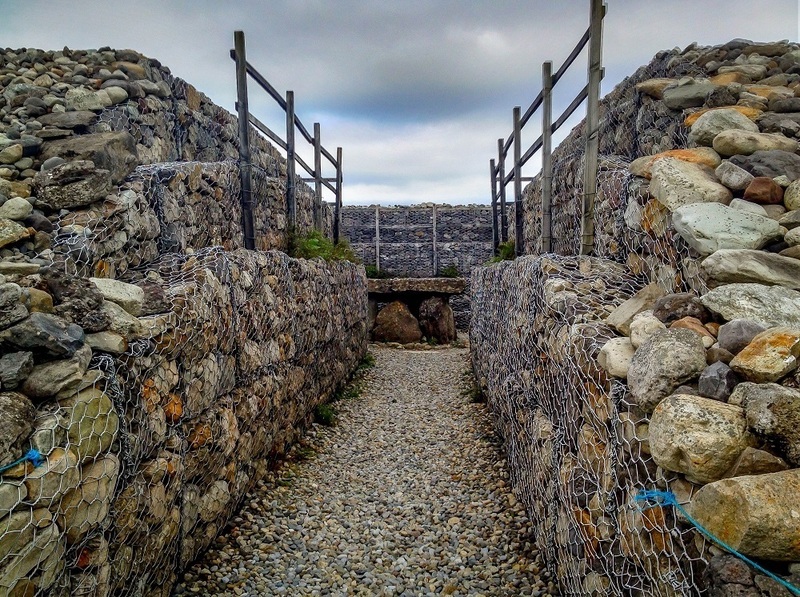 Not far outside of Derry, we drove to the wind-swept summit of a very large hill to stop at the Grianan of Aileach – a ring fort built in the 6th century that was the seat of power for the Kingdom of Aileach. 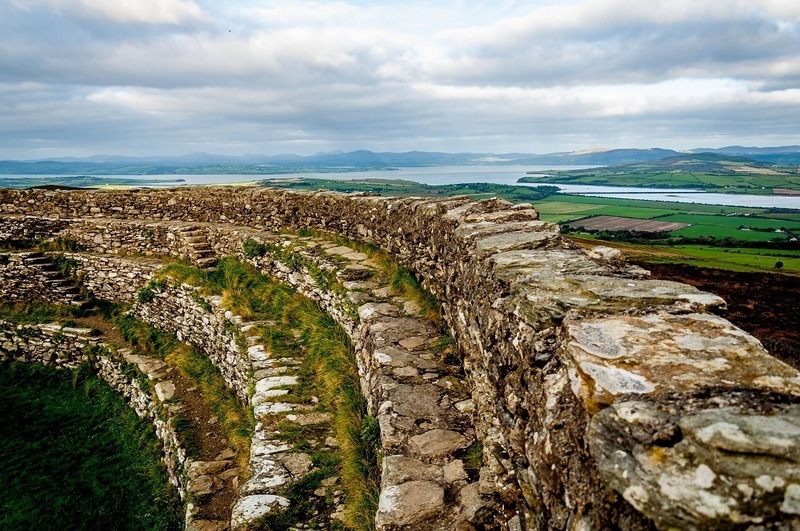 From the fort’s walls, we had commanding views of the Donegal coastline and the beginning of the Wild Atlantic Way. The West Coast of Ireland is only a few hours from Dublin, yet it feels like stepping back in time 40 or 50 years. 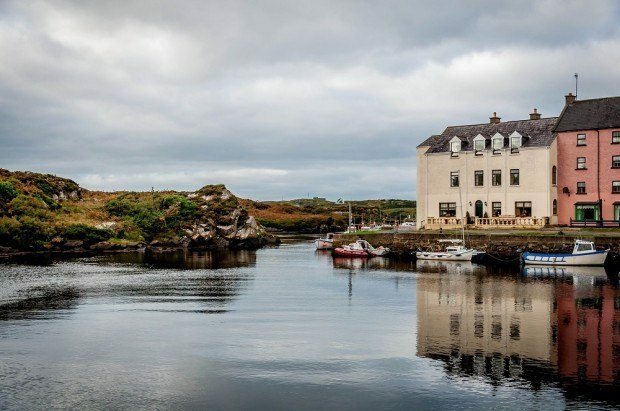 Nowhere on the Wild Atlantic Way drive made that more abundantly clear than the tiny little fishing port of Bunbeg. And it is tiny! The little harbor can hold no more than a half-dozen boats (mostly of the two =-man variety). Leaving Bunbeg, we stopped a little coffee shop and listened to locals exchange banter and discuss the news of the day. Whenever I think of Ireland, it is these small, remote villages with their bucolic life that come to mind. At several points, we briefly diverted from our Wild Atlantic Way itinerary and headed inland. 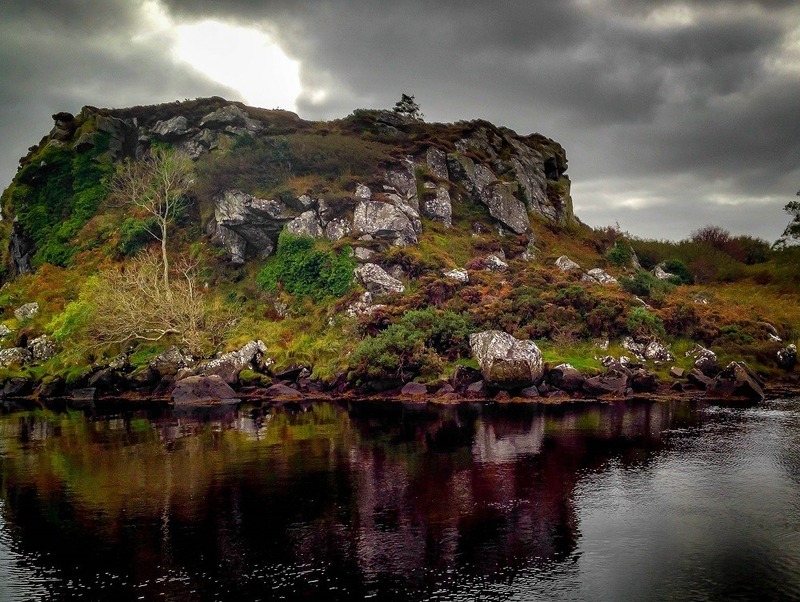 One such instance was cutting inland from Bunbeg to the Glenveagh National Park. The forests on the hillsides were lush green and the fields had taken a deep amber color from the summer sun. 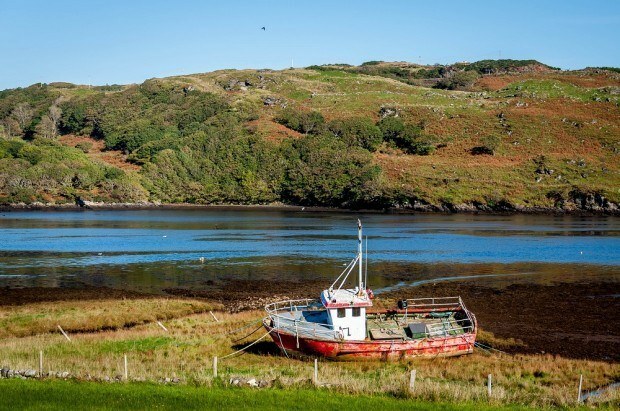 More than anything, these inland diversions impressed on us the vast geographic diversity in Donegal. For many visitors, staying in one of Ireland’s castle hotels is a special treat and that was certainly true for us. 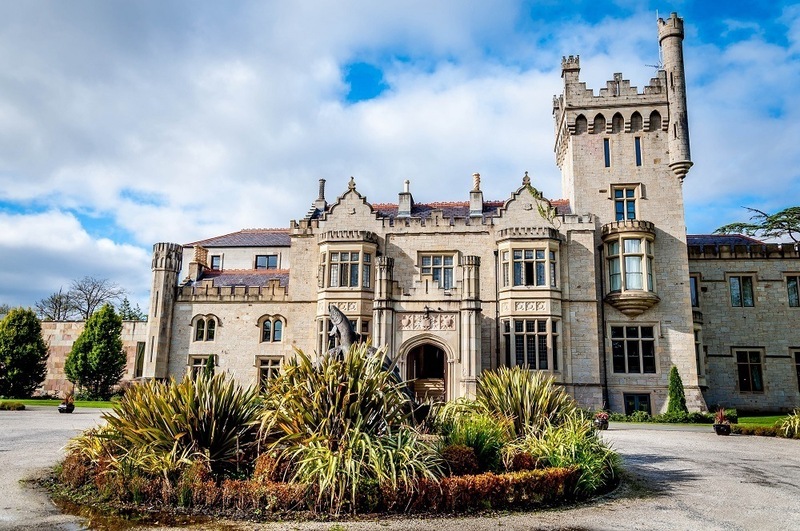 There are castle hotels all over Ireland, but we were able to stay in two – one in Donegal and one in Sligo. A castle stay is probably one of the most romantic things we’ve ever done and we highly recommend it! Perhaps the highlight of driving the Wild Atlantic Way in Donegal is the sea cliffs. While the Cliffs of Moher are more famous, they are the little brother to the Slieve League cliffs. 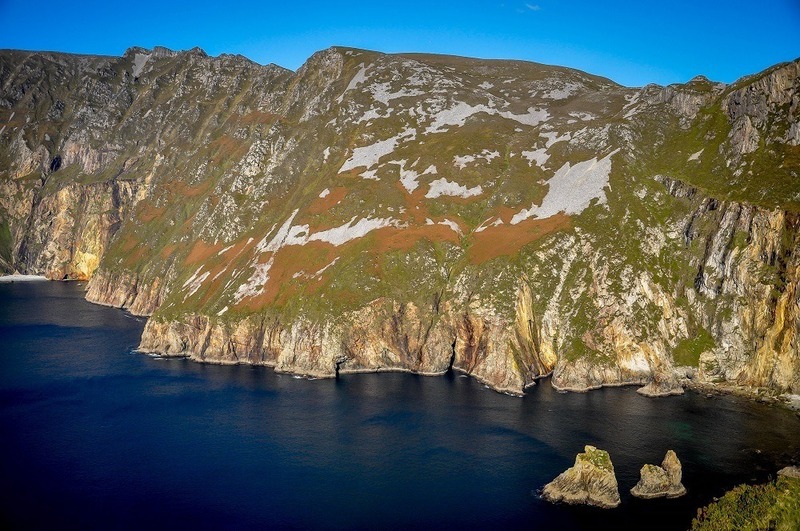 At over 1,900 feet, Slieve League is more than three times as high as the Cliffs of Moher. Because they are less frequented than their more famous neighbors to the south, you can visit the Slieve League cliffs and have them to yourself. Given Ireland’s notoriously unpredictable and frequently overcast weather, we were blessed to visit Slieve League on a perfectly beautiful sunny day with no wind whatsoever! What do you think about Road Tripping on Ireland’s Wild Atlantic Way? Heading to Ireland for the first time later this year! 🙂 Can’t wait! Looks beautiful! 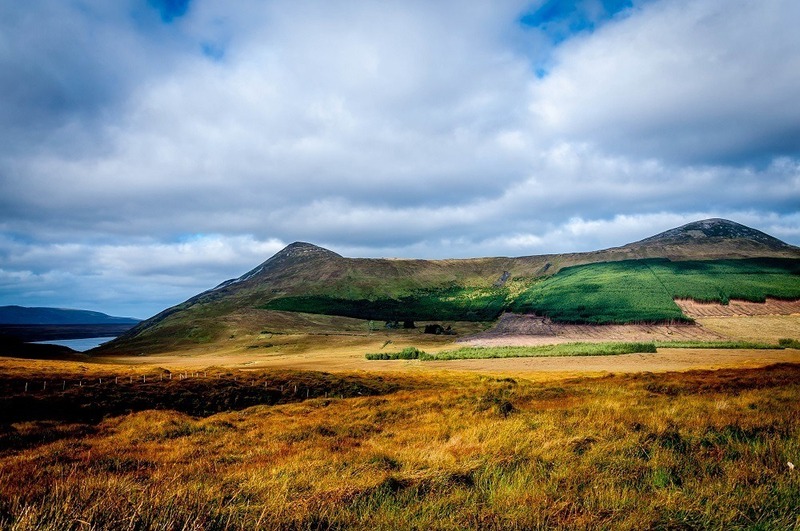 Ireland and Northern Ireland are both such great places to visit, and the landscapes are very distinctive. I’m sure it will be a field day for your photography. I keep saying the next adventure I go on is a massive road trip in Europe. This looks absolutely amazing! Now those are some gorgeous views. Beautiful photos! Still bummed I missed TBEX Ireland last year, would have been a great excuse to explore. Gotta get back to Ireland! Those are some jaw-dropping views that we need experience for ourselves. It’s clear why so many Irish immigrants moved to Newfoundland, Canada – the scenery is really similar. LOVE these photos! 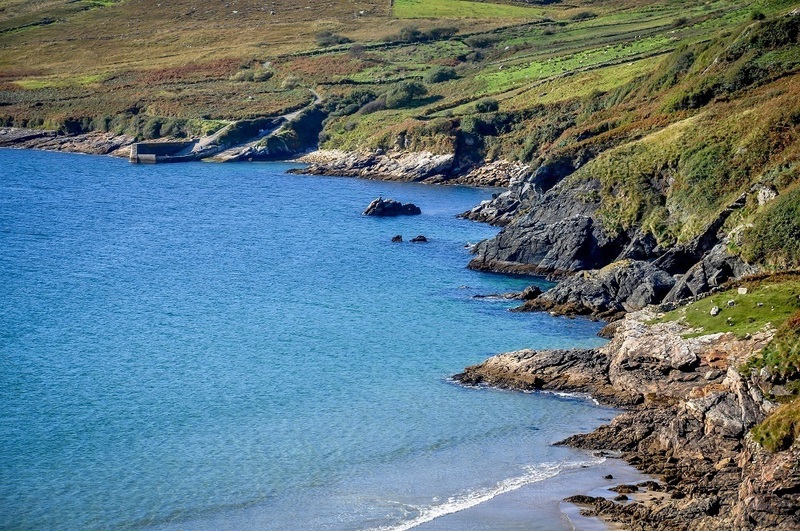 I’d heard of the Wild Atlantic Way – but now I really want to go. I only visited Ireland once, and that was just Dublin but I loved it so I’m ready to go again. It’s a unique and beautiful area of the country. The photos don’t do it justice. It looks like you had some seriously gorgeous weather in Ireland! We did! We were really lucky. Our previous trip was full of wind, rain, and even a little bit of snow, so we were grateful. Drove the Atlantic way last year. A great experience!! Stunning scenery.